Although things have been quiet on the blog, things behind the scenes of our Ghana Child Slavery Rescue Mission are anything but quiet. With only 104 days to go (!!!!!!) until we head to Ghana, we're finding ourselves in a flurry of activity here in New Brunswick (Canada) as well as in Michigan and Illinois. While the school construction fundraising has always been our priority (with 100% of the school funds going to the school construction) we had to take some time to focus some of our efforts on raising the necessary funds for the travel expenses so that we could book our flights. At my youngest brother’s suggestion, I launched a photography auction on Facebook in June as well to help us reach our separate fundraising goal for the travel. We had such an encouraging and positive response to this that we may do another one in the fall. Debra had an auction in June in which half the proceeds went to her travel costs, and half went to the school. 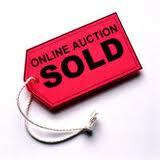 This auction raised over $600 for the school construction fund, increasing the school fund by 2 percentage points! So many people and businesses contributed their time, energy and items to this great event, we’re so grateful for the tremendous support. Thanks to the success of those specific fundraisers, along with countless lawn mowing jobs, bottle recycling refunds, car detailing and various other odd-jobs, we purchased our plane tickets. What a surreal feeling!! This is really happening!!! We have since resumed 100% of our focus to the school fundraising by continuing with various jobs and event fundraisers. Much of our fundraising successes have come by word of mouth, simply from sharing about this project, what we’re doing, where the funds are going and what a difference it will make... people are inspired to help in any way that they can. Share our button on your blog, place our project url in your email signature, post it on Facebook... every single contact is a seed planted, and we can not afford to underestimate how important each of those seeds are. www.tinyurl.com/Ghana2011 -- easy to remember! If you are able to donate $5, $10, $20 or more, please do so and know that your contribution WILL make a difference. There is no amount too small. Every dollar will bring us closer to providing the school for these rescued children. Every dollar will greatly affect the future for generations to come. Every dollar counts. Last but not least... your prayers. Your prayers for us as we walk this journey have made an impact beyond what can be seen. Your prayers have helped keep us energized, encouraged and uplifted when the road gets tough and our hearts are heavy from the reminders of the children we're doing this for. As well, your prayers for George and his ministry, as well as the children of Lake Volta, both those who are awaiting rescue and those who have gained freedom.... those prayers are life changing and crucial -- please continue to support them in prayer. She once was lost, but now she's found...! Back in April, I had asked Compassion to send me a handful of packs of children available in Ato Sam's Compassion project in Ghana. Hers was one of two that I received. I prayed over her week after week as I placed her photo profile in our church lobby, and when her profile disappeared in May, I hoped it meant she had found a sponsor. I kept praying that I'd connect with her or her sponsor, one way or another -- after all, she was a friend of Ato Sam's. Then, in June, she resurfaced. Someone from church, assuming that someone had lost their Compassion Child info, tucked her away somewhere for safekeeping. When they saw me with Compassion child packs in the lobby week after week, they put two and two together, and gave her back to me. Her child pack had expired, though, and her profile could have been in the hands of another Advocate, on the website, or elsewhere. She may have even found a sponsor by now. When child packs expire, we are asked to destroy them because it means that someone else has been assigned to finding them a sponsor. I didn't have the heart to do that to her photo... I discarded the envelopes and the forms, and tucked her profile into my Bible, not knowing what it was that God had planned, but knowing I would be praying for her as I studied His Word each day. I sat across from our Children's Pastor this week at church, talking about connecting Compassion, missions, and worldwide children's ministries with our church's children. I presented the idea of having a Compassion child for our K-5 KidzWorld group at church. We exchanged ideas of how it could work, what we could do, how it would help plant seeds of compassion and serving into the lives of the children and families. While brainstorming, we also talked about where we could sponsor a child, which country, how great it would be to sponsor a child we could interact with in person to help our children understand that these kids are real, to help them build that relationship. I prayed about it all the way home, and called Compassion right away. I provided them with her child ID number, and learned that she hadn't been sponsored. The last Advocate that had her was me. 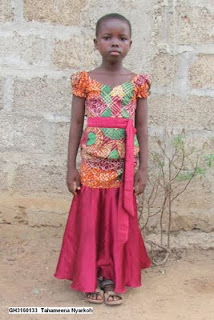 Tahameena is now our 13th sponsored child, in partnership with our children's ministry at church. We will support her in prayer and learn about sacrificial giving through this sponsorship. The children at church will be able to take part in sending her cards, drawing her pictures, and also learn about the work we're doing in Ghana. Her photos and letters will be posted on a special Compassion Station bulletin board where the children will learn about her country and about Compassion's ministry around the world and about the difference that their small change can make in the life of a child their age. The children will have her photo to take home to stick on their fridge as a reminder to pray... and perhaps their families will also be led to sponsor as a family. I'm so eager to see God working in the hearts of these children through this experience, and to see Tahameena's life bloom as a result of the seeds that have been planted. This has served as a reminder that He has a plan for each and every one of these children that we're entrusted with as Compassion Advocates; and a plan for each and every encounter we have in our life. Sometimes, the two connect, and it's the most incredible thing to witness! Our daughter began coloring her world at the age of 2. Walls, floors, cupboards – every surface was fair game every time she found a stray pencil or crayon. We did our best to hide the pencils, crayons and markers, but she had incredible talent for honing in on them like a bloodhound on a relentless pursuit. Relentless. It should have been in the top contenders for her middle name. As she taught herself to read and write, the incessant obsession to label the world around her seemed unstoppable. Unlike our sons who were older than her, redirection did not help, impulse control was non-existent, and consequence was of little importance to her. We were at a loss. Years later, the writing on the wall began to make more sense as we were told that she was on the autism spectrum. 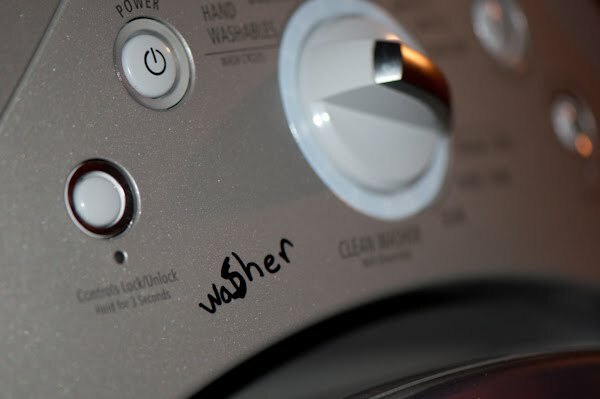 The pervasive tendency to put a mark on her world was part of her own autistic traits, and the complexity of her issues were the reasons most of our parenting methods did not bear fruit. This knowledge helped us extend more patience and grace. She’s nine now, and unless you spent a significant amount of time with her, you might not realize that she still deals with the effects of the autism spectrum every day. The days of the intense, non-verbal child who found social interaction overwhelming and who spent every waking moment in sensory overload have slowly faded. She’s still intense, but less so now that she is capable of expressing herself verbally. In fact, the pendulum has over-compensated. She’s just like her mother, and never stops talking! At least they were labelled and spelled correctly. Atta girl! As she and I read the letters we received today from 3 of our Compassion kids, the topic came up of when Suwanna would be able to write her own letters. 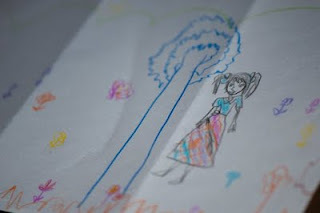 At the age of 8.5, Suwanna, our child from Thailand, is still struggling to write her name. I explained to her that until April of 2011, just a few short months ago, Suwanna had never owned pencils or crayons. We had recently provided them to her through a child gift, along with papers, art supplies and a bag or backpack to put them in. Knowing how much she and Suwanna loves to draw and color, my daughter understood how the value of this gift and the difference it would make. The Compassion project worker expressed to us how grateful Suwanna had been for this gift and how she had even tithed from her birthday funds, something so encouraging to see. I couldn’t imagine our world without the marks of autism any more than she could imagine her world without the pencils and crayons that had helped give her world a voice. Although the perspective had already shifted for me long ago... today brought it home even more. The fleeting frustrations of life are temporary, quickly erased, painted over or faded from memory. 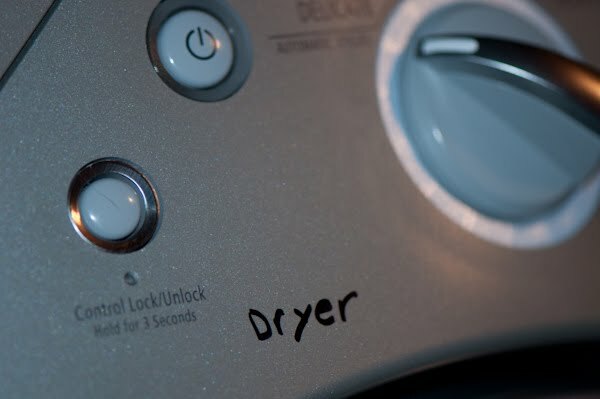 Well, except those made in permanent marker on a washer and dryer! The true blessings are in the indelible marks my children, both biological and sponsored, have made on my heart and how they have changed my life perspective. How have your sponsored children helped change your perspective with your own life or your children's lives?